2016 is a pivotal point in the history of cable/internet/telephone providers. Decision-making in the cable market has taken on many new faces in the last several years, creating a market that has fewer large providers, yet many more options, than ever. Much of this, of course, is due to the proliferation of cord-cutting. For those living in multi-unit residences, however, choices are limited just to what a residential board decides. This has caused much consternation with condominium owners and renters, who are largely dissatisfied with their lack of options. This is a problem, because more people than ever are choosing to rent or own condos. Unfortunately, though, for all these people eschewing the suburbs in favor of a more urban, communal lifestyle, their choices in cable providers are extremely limited--in all actuality, if they even have a choice at all, it will be less than three. That's because of exclusive relationships cut between developments and providers. Indeed, "Network operators like Comcast, Time Warner Cable, and AT&T, in cahoots with developers and landlords, routinely use a breathtaking array of kickbacks, lawyerly games of Twister, blunt threats, and downright illegal activities to lock up buildings in exclusive arrangements." It's safe to say that individual owners are looking for something different, something better. It might make sense to compare cable/internet options to something like healthcare options--nobody likes spending much time thinking about it until they have to. But when they do have to, they often find that they like thinking about it even less. This is for a number of reasons, and it presents a major opportunity area for cable providers of the right size and mindset to fill a much-needed niche: that of a customer-oriented business, ready to meet residents on their own terms. Apple is the largest, most powerful and most popular technology company in the world today. Its origins--legendary and widely known--are quite humble. One thing that separates Apple from its competitors is that the great majority of Apple users have their very own origin stories with Apple products. People tend to love Apple products because they used them in their schools growing up, where they were ubiquitous, and free. That brand affinity, created at a young, impressionable age, carries over into adulthood. This is why Apple puts such an emphasis on education. Outreach in schools, exclusive relationships on campuses and even substantial discounts for student buyers are all key tenets of the Apple relationship to students. And there are certainly examples of cable providers making deals to be the exclusive presence on campuses. In 2014, Time Warner Cable negotiated a contract with Ohio University to be the school's sole cable provider. The lucrative deal, which runs through 2021, pays Time Warner Cable $39,000 per month, or nearly $470,000 per year. 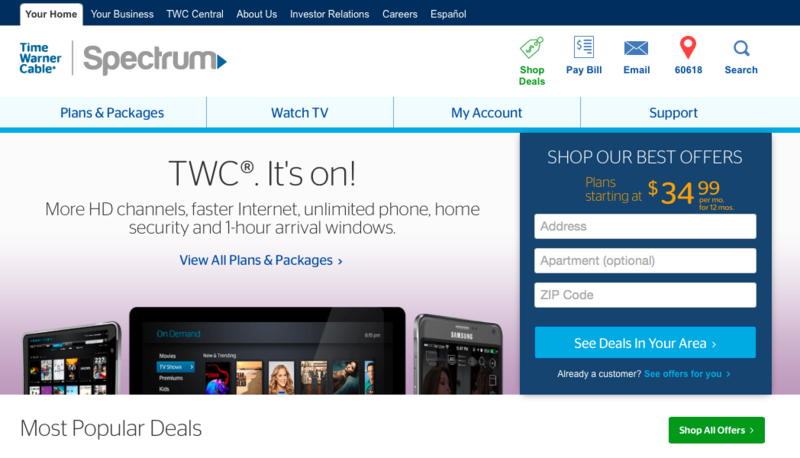 Most importantly, however, might be TWC's potential for future earnings because of this contract. There are a total 4,681 cable outlets in student dorm rooms and another 237 in common lounge areas on campus. In total, the University of Ohio boasts just under 20,000 undergraduates. With exemplary service, TWC has literally tens of thousands of potential future customers in a small corner of Athens, Ohio, alone. (There is an inherent risk to this strategy, though, as poor service can create the same number of customers who will bray about the shortcomings of TWC to their various social circles.) But by cornering this market, TWC has garnered a high-paying contract and is actively influencing the property managers of the future. 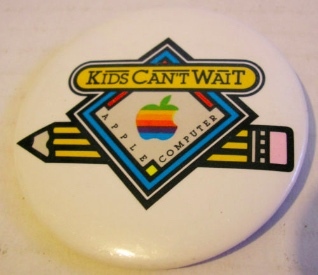 Apple has a long history of student outreach. We can look to one of contemporary America's most hotly debated topics to find a parallel for choosing a cable provider--healthcare. Like cable users (cord-cutters aside), healthcare customers choose a healthcare option simply because they have to. As such, they'll nearly always choose the option that offers the path of least resistance--sometimes even if that's a more expensive option. The entire cable/healthcare process is spoken of in terms akin to a trip to the dentist or DMV. A number of startups are looking to change the game, largely by smoothing out the selection process, making it easier, quicker and, quite simply, more visually appealing. Oscar Health Insurance, a New York-based startup, is focusing on design and user experience to attract customers fed up with the same old plain, confusing interfaces. In a word, Oscar looks to make healthcare fun. This spring, Oscar reported having 145,000 customers across several states, and received a $2.7 billion valuation, after just three years of business. An example of the Oscar website. A cable company making the selection process similarly appealing could be a comparable game changer, and ultimately pay great dividends. 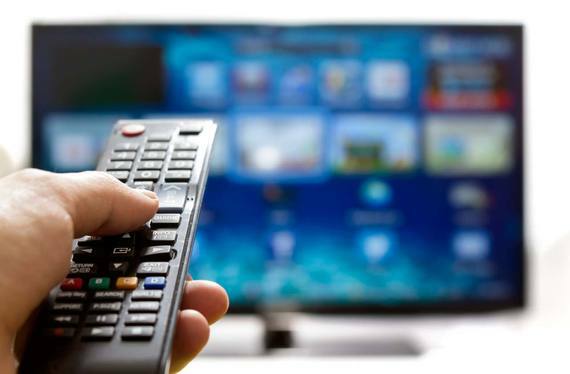 Cable websites are often difficult to navigate (on Comcast's, for example, simply paying a bill is a complex process, in which the necessary functions are hidden in footers), and visually of an overcrowded, staid stock. 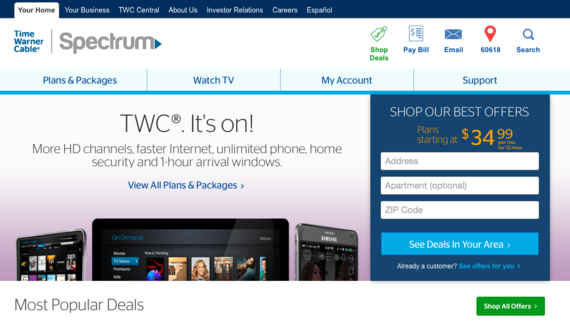 An example of the TWC site. There are many industries where brand affinity is essential to growing a customer base. Cable/Internet is not necessarily one of them, however. Entering the field as an entirely new entity, from the ashes of previous brands, has a number of potential benefits. A lack of name recognition here is by no means a limitation to new business. In fact, it has the potential to be just the opposite. The name-brand cable companies are almost always spoken of in terms of frustration, disillusionment and even outright anger. Positioning yourself as the "good guy," the admirable alternative, can have untold benefits in an industry as fraught as this. Additionally, positioning yourself as a smaller, more nimble brand can place you in a good light when set next to the colossal behemoths. Many providers probably know full well that they cannot compete with the Comcasts and Time Warners on size alone, so they should look for ways to use their agility to their advantage. It's far easier for smaller companies to allocate resources and quickly turn around tasks than it would be for the big ones. Also, you an consciously target industries in which you know the behemoths do not have a strong foothold. There are examples of brands that have risen from the ashes of other brands and become wildly successful. After Lucky-GoldStar merged and rebranded as LG, the company's fortunes skyrocketed. "When the company rebooted itself, relaunched in North America, and retconned its name," one writer says, "it succeeded in pulling off an extraordinary transformation." The rebrand from Lucky-GoldStar to LG has been lucrative for the company. This market is rapidly changing, and smaller providers have to do whatever they can to stay competitive, and relevant. They can change the game by changing how the game is played, work to make lifelong consumers at a younger age than cable companies normally attempt to do and, perhaps most importantly, use their agility to offer customers what's best for them in a number of different ways and places.